CLEANGUARD shells are produced by a single-step cold deep draw process which yields a seamless steel cylinder with an extremely high tensile strength. ANSUL’s unique pre-treatment of the raw low carbon steel not only consists of a cleaning process, but also applies a special lubricant which helps keep the interior and exterior shell surfaces scratch-free. 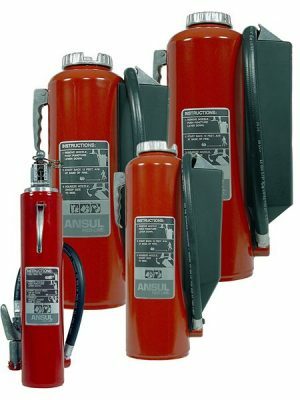 Extinguisher shells are 100% factory air tested in excess of 600 psi (41.4 bar), Non-Magnetic tested in excess of 300 psi (20.7 bar). Proprietary metal finishing equipment and two-coat powder paint system used by ANSUL is superior to conventional liquid and powder paint systems. The equipment and the two-coat system work together to maximize the properties of each paint. Prior to painting, a custom designed shot blaster is used to obtain a “white metal” finish on the exterior of the shell. The blasting process removes surface contaminants and provides a textured surface which promotes paint adhesion. The specially formulated two-coat powder paint system is electrostatically applied and cured in infrared ovens. First, an epoxy primer is applied for maximum corrosion resistance and adhesion. Then, to resist fading, cracking, and chipping; a polyester urethane top coat is applied. Easy grip extinguisher handles designed for maximum portability, allowing operators to fight the fire without removing work gloves. 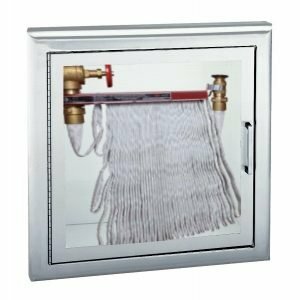 CLEANGUARD extinguisher valve bodies are made from a durable extruded aluminum alloy which has been black anodized for additional corrosion resistance. Completed valve assemblies feature plated steel valve stems which contain O-Ring and seat material compatible with the FE-36 agent to provide reliable performance and long life. Aluminum alloy hose ferrules are coated with Stalgard® to resist oxidation. 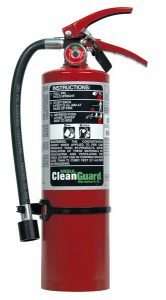 CLEANGUARD extinguishers have large, color-coded pressure gauges which provide a quick visual indication of unit readiness. Metal ring pins with metal retention chains are utilized and held in place by a visual inspection seal to help prevent accidental discharges. Large, easy-to-scan bar coded model and UL serial numbers simplify inspection and maintenance record keeping. ANSUL valve subassemblies are 100% tested for functionality before final assembly. 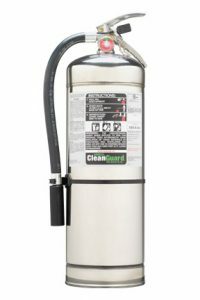 CLEANGUARD extinguishers are filled at the factory to precise tolerances. Pressurized and 100% leak tested utilizing mass spectrometry technology. Anodized metal nozzle tips are designed to tight specifications and maximize the extinguishment capabilities of the particular model. 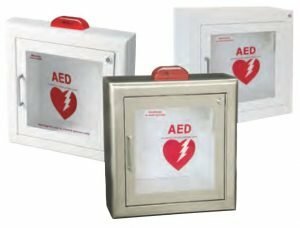 CLEANGUARD extinguishers are shipped from the factory in individual recyclable corrugated cardboard cartons. 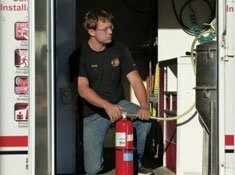 Designed and field tested to help assure your extinguishers arrive undamaged and ready for operation. The glued one-piece cartons have carrying handles and a pressure gauge inspection port. All CLEANGUARD extinguisher cartons are properly labeled according to the latest DOT regulations for ease of shipping in the field. As a final quality control step, CLEANGUARD extinguishers are randomly sampled for performance testing, which includes weight percent discharge and discharge times. 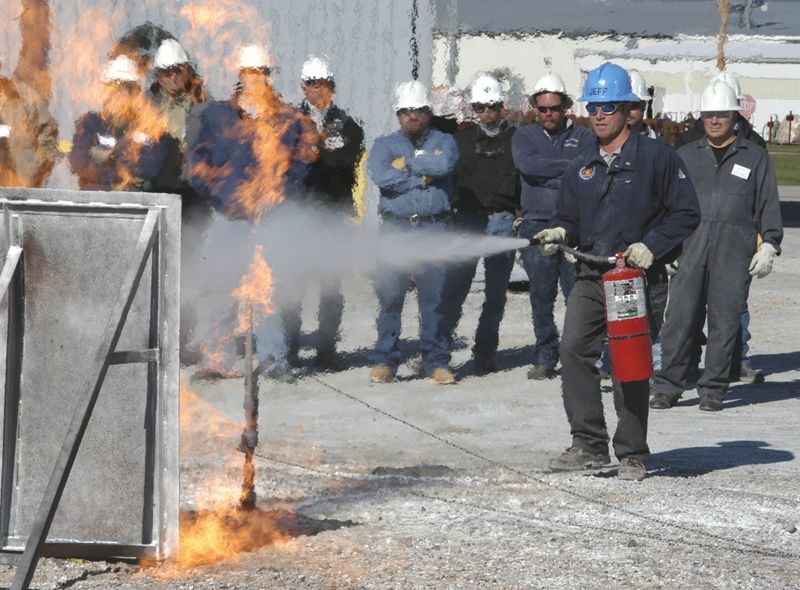 Agent: FE-36™ is a colorless, odorless, electrically non-conductive “clean” agent which discharges as a liquid and flashes to a gas, providing an increased effective firefighting range. FE-36 will not cause thermal shock damage to delicate electronic equipment. FE-36 has been accepted by the EPA for commercial, industrial, and military use under the EPA’s SNAP program. 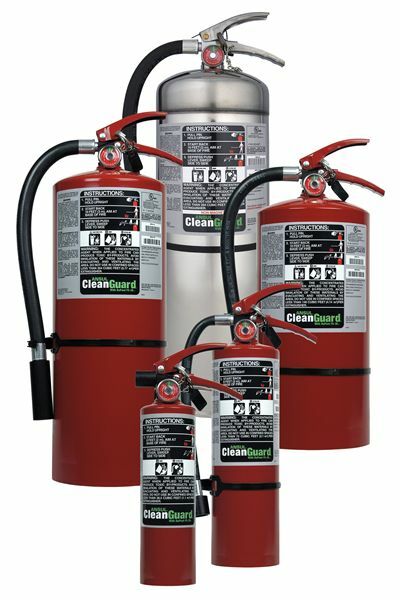 Approvals: CLEANGUARD FE05, FE09, and FE13 extinguishers are approved by the U.S. Coast Guard and the Federal Aviation Agency (FAA) for use aboard both civilian and commercial aircraft as replacements for Halon 1211 extinguishers. 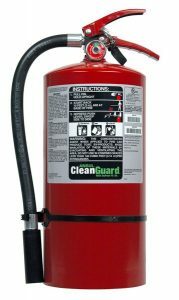 Listing: CLEANGUARD FE13NM extinguisher is UL/ULC listed.